Joe Bonamassa is an American blues-rock musician, singer and songwriter. 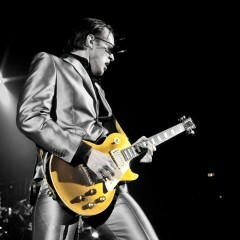 Joe Bonamassa opened for B.B. King when he was just twelve years old. In the last thirteen years Bonamassa has put out fifteen solo albums through his independent record label, J&R Adventures. Eleven of his solo albums have reached #1 on the Billboard Blues charts.